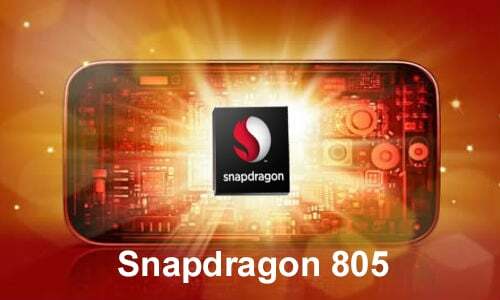 With the HTC One M8 introducing the idea of having two cameras on the back of the device for quicker focus and cool lens-blur features, Qualcomm is going to make it easier for other phone makers to do the same with its upcoming Snapdragon 805 chip. It took some serious software optimization on HTC’s part to get the duo-camera feature to work, and is probably a bit taxing on the snapdragon 801 chip inside of it. Qualcomm will be integrating easy support for duo-cameras, which will allow stereo and depth camera processing without the manufacturer doing all the heavy lifting. The new chip will also support taking up to 16MP burst photos at 15 FPS while shooting 4K video, which is something current smartphones cannot do. It’s pretty cool to see Qualcomm not only making some of the best chips in the world for phone makers, but integrating impressive features into them to benefit phones as well. I personally would like to see some more slow-motion features added to phones, such as the support of 1080p video at 120fps, which currently we can only record at 720p.